St. Ann believes in giving back to our Community, thus each of our Middle Grade students is required to volunteer a prescribed number of hours with the Neighborhood Youth Center. Refer to the student handbook for more information. 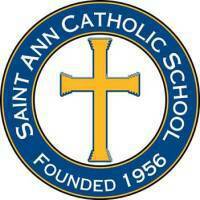 The St. Ann Catholic School ~ School Volunteer Organization (SVO) coordinates the Service Program in cooperation with the school staff. Each family is required to donate their time and volunteer for 10 hours per school year. Hours of service are recorded online or in the book located outside the administrative office.